Experience Nepal’s Chitwan National Park + Kathmandu with its unique mix of ancient culture and its breathtaking wilderness on a Nepal Wildlife Safari Private Tour. 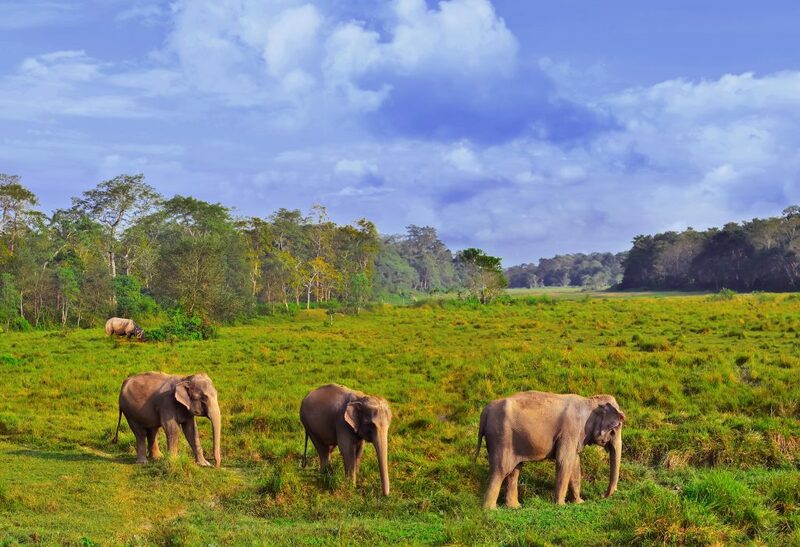 The Royal Chitwan National Park lies in the Southern lowland of Nepal, known as the Terai, covered with dense tropical jungle teeming with diverse wildlife and exotic birds. 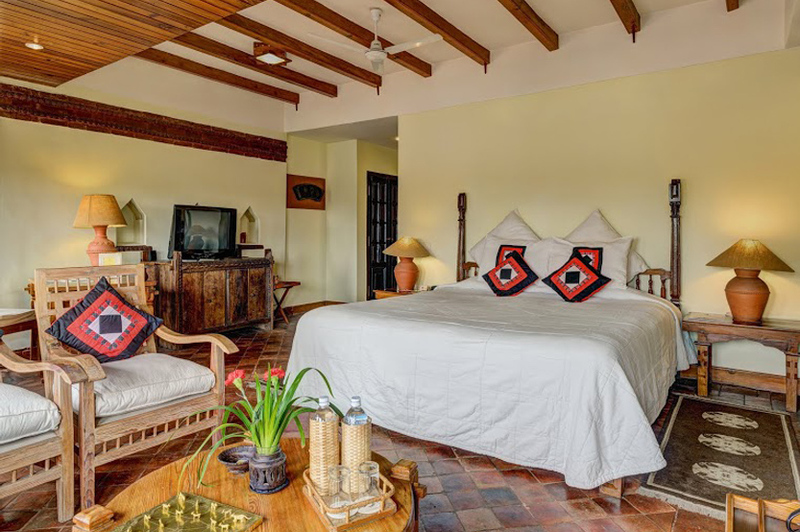 Highlights include: Jeep & Elephant Safaris, canoe and nature walk at Chitwan National Park, 1 Hour exhilarating mountain flight over the Himalayas, Visit NGO Camp HOPE, boutique accommodation, all city tours and meals in Chitwan. After clearing the custom and immigration formalities, proceed towards the arrival lounge of the airport where you will be met by our representative. Later, transfer to the hotel. Kathmandu Valley, the political, commercial and cultural hub of Nepal, is the first stop for the majority of visitors to the country. It was originally known as the Nepal Valley. A separate kingdom in itself, Nepal consists of three fabled cities, each an artistic exposition of graceful temples, elegant palaces, brick-paved courtyards and quaint streets. 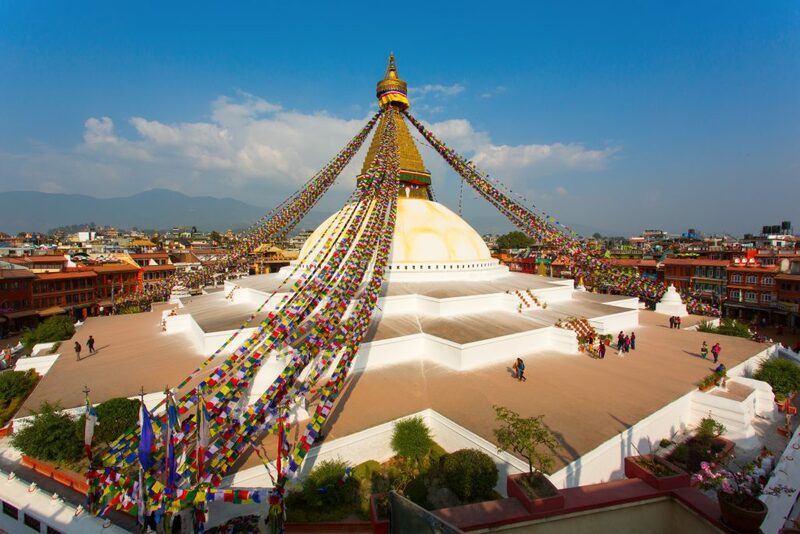 Early evening visit two of the holiest temples of Kathmandu – the Boudhanath Sutpa & Pashupatinath. Boudhnath Stupa – one of the holiest shrines for Buddhist culture in Nepal, about 2500 years old and said to be the biggest of its kind. Tibetan Buddhists consider this site like Muslims consider Mecca. With its large stupa, this is the place where all devout Buddhists come for a pilgrimage. It is not unusual to see very old devotees circumnavigate the shrine hundreds of times, falling to their knees and rising again for a few steps only to go back down again to their knees. Pashupatinath – Nepal’s holiest Hindu religious site. This is the place where holy “saddhus” (mendicants) pray and cremations on the holy Bagmati River are carried out. While you are not allowed into the temples if you are not a Hindu, the grounds surrounding the temples usually have a fascinating crowd of the faithful. Early morning transfer to the airport to board a little low-flying aircraft for a spectacular one hour Mountain Flight over the Himalayas. This is an exhilarating experience as one comes close to the Mount Everest and other spectacular peaks and cruising so close to the awe-inspiring massifs of rock and ice is an out-of-this-world experience! As you come over Mount Everest, you can almost feel the presence of the summit (flight operation is subject to weather conditions). Late morning, drive to Bhaktapur – perhaps the least changed of all the cities in the Kathmandu Valley, with a distinct medieval feel. Pottery and weaving are still traditional industries here. Architectural wonders abound, including the Palace of Fifty Five Windows and the Golden Gate. Later proceed to Lalitpur, Patan the city of beauty, is separated from Kathmandu only by the Bagmati River and is the second largest town in the valley. Lalitpur is fragmented from other cities due to its substantive ancient architectural masterpieces. Patan’s central Durbar Square is absolutely packed with temples. It is an architectural center point with a far greater concentration of temples per square meter than Kathamandu or Bhaktapur. Later transfer to the Kathmandu airport for flight (30 mins) to Bharatpur. Assistance on arrival and drive to Chitwan (approx. 1 hr drive). 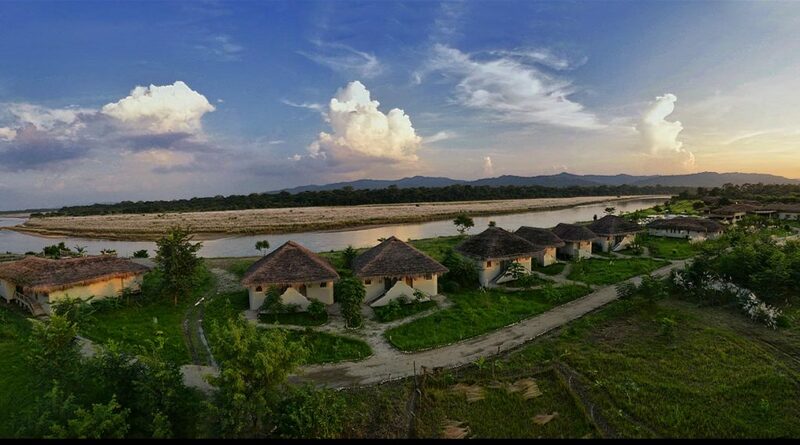 The Royal Chitwan National Park lies in the Southern lowland of Nepal, known as the Terai, covered with dense tropical jungle teeming with diverse wildlife and exotic birds. This Park covers an area of 932 sq km and is the home of more than 43 species of animals. 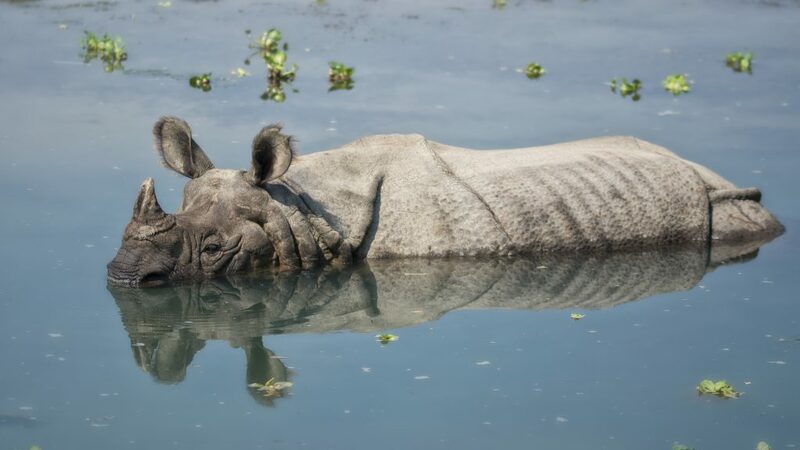 The endangered one-horned Rhino, the Royal Bengal Tiger, Gharial (Crocodile), four-horned Antelope, striped Hyena and the Gangetic Dolphin are the main attractions here. Late afternoon proceed for a game drive on an open four-wheel drive Jeep (sharing basis) looking for wildlife and birds, the crocodile and the magnificent Royal Bengal Tiger. Early morning proceed for a visit to the Sanctuary on Elephant back, driven by the Nepalese elephant drivers known as “phanuts”. While on safari, you penetrate the dense grassland to view wildlife. This grass, commonly known as elephant grass is dense and grows to a height of 18/20 ft. It is the favourite habitat of the Rhinoceros and other mammals. Morning board a canoe that will take you on a trip down the Rapti River (a very exciting and gentle float) to view aquatic birds and the animals of the river bank. Early morning proceed for another visit to the Sanctuary on Elephant back. Late morning visit to the Tharu Village. Board a bullock cart and ride slowly through the village roads exploring the life at a Nepal village. The Tharus make their living by subsistence agriculture, growing wheat, corn, rice, cabbage and other crops. While at the village, you will get to see colourfully dressed women planting rice, men using water buffalo to plough the fields, women carrying thatch from the forest in gigantic baskets on their backs, and children fishing or swimming in the river. Later return to the resort for lunch. Late afternoon start your Nature Walk through the National Park. The best way to explore a jungle is on foot where you will have the opportunity to see different varieties of bird, butterflies, small animals, pugmarks of bigger animals, etc. Later check out of the hotel and drive to Bharatpur airport for flight (30 mins) to Kathmandu. Assistance in arrival and transfer to the hotel. Afternoon visit to the Camp Hope – a one square kilometer tent city in Jorpati, Kathmandu build by The Dwarikas’ Foundation. It serves as a temporary home to 330 households from five villages in the Sindhupalchowk district, just north of Kathmandu. The earthquake damaged or destroyed approximately 88 percent of houses in the district. Built on a community football ground, Camp Hope is an exemplary model of private-sector led humanitarian assistance – a clear demonstration of the impact that is possible when the private sector engages with other partners. USAID stepped in with additional support. Heavy-duty plastic sheeting provided by USAID was utilized to create shelters that are strong enough to endure the monsoon season. While shelter, food, and basic medical services address the physical needs of residents, their social and emotional needs are also important. Camp Hope offers a variety of programs and spaces to help residents as they heal. A prayer tent allows the community to continue their spiritual rituals in a minimalist manner. Later visit the Durbar Square – the complex of palaces, courtyards and temples, built between the 12th and 18th centuries. Arrive at the Kal Bhairav temple, the temple dedicated to Shiva. From the temple board Cycle Rickshaws and enjoy ride for about 30mins through to Thamel, the busy shopping area of the city. Transfer to the airport for international flight back to Australia. Room is only booked till check out time of 11am. If late checkout required, additional supplement is needed to hold the room. Tips or gratuities of any sort.